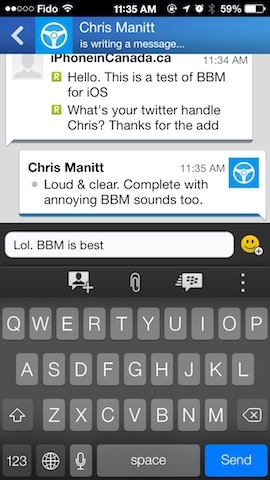 BBM for iOS and Android was plagued with delays before it even launched. The company had to cancel and revise its release plans after an Android version leaked. 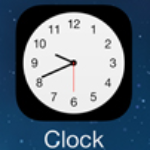 Eventually, the iOS and Android launch debuted as a staggered rollout to ensure servers would not be overloaded. The company stated it first enabled 6 million early sign ups to get started first, then proceeded to process more at rates of 500,000 users per house. BBM for iOS and Android has been downloaded over 10 million times and the iOS version is the number one free download in the App Store. It’s the first time BlackBerry has been number one in something in a long, long time. Our guess is the majority of users have downloaded BBM due to curiosity or the desire to feel nostalgia. New users have been plagued with numerous app crashing bugs such as when sending or receiving an image or by trying to open their contacts list, but a recent update fixed the bugs. 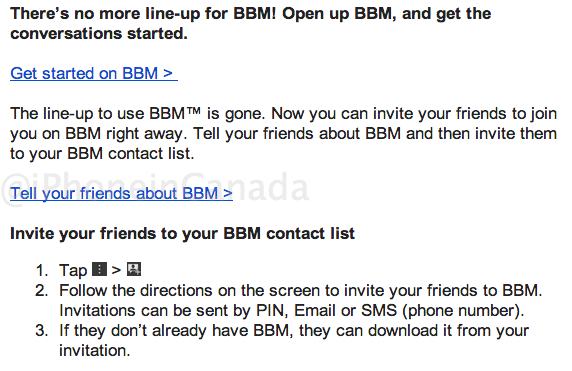 Are you still using BBM? Or did you only download it because your friends on Facebook, Twitter and Instagram won’t stop posting their PINs? Don’t forget to add your friends to ICQ and Friendster while you’re at it.